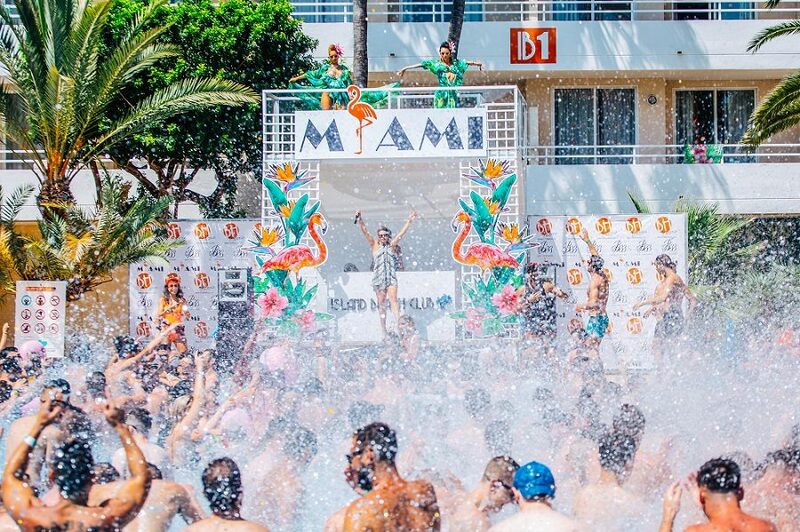 BH Mallorca sits at the heart of the party capital of the world, Magaluf. 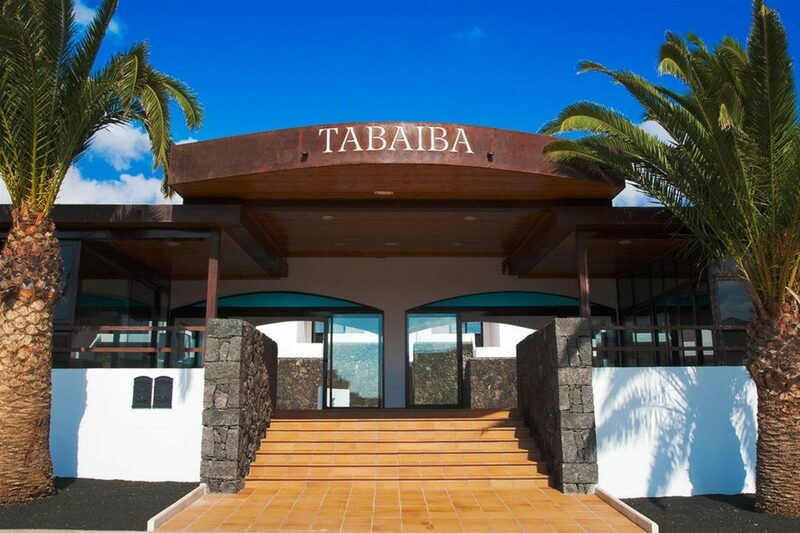 This adult-only hotel opened its door in 2015 and combines its fantastic location and trendy guest accommodation with a plethora of on-site leisure facilities, tasty round-the-world dining, and a lively bar and entertainment scene. Daytimes here centre on the pool area with lively music setting the scene. You can work on your tan on a lounger by the water's edge, relax in style on a Balinese bed, or indulge in a beauty treatment or two. Get active with a workout in the fitness room or hire a bike and explore the area on two wheels. 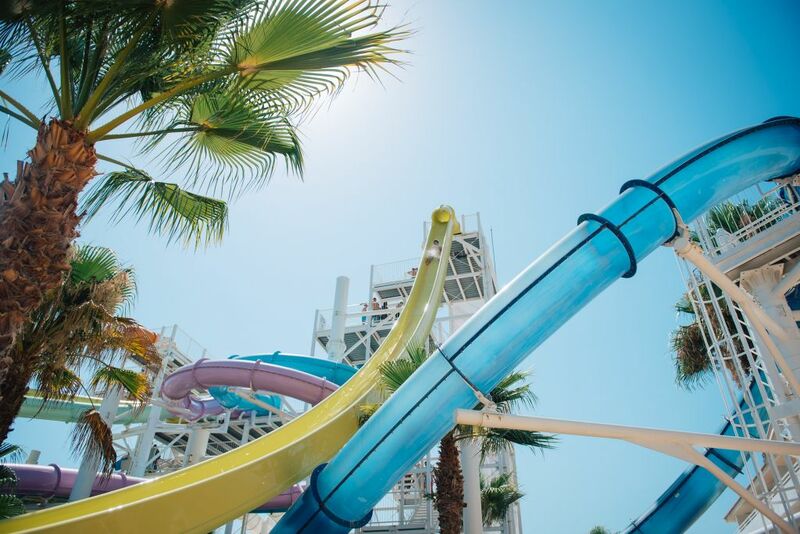 This place also offers three unique on-site entertainment experiences - there's a stage which hosts an open-air music festival and entertainment each summer; an adult water park with white knuckle rides, wave pool, and giant Jacuzzis; and a beach club which offers pool parties hosted by Kiss FM UK and resident DJs. The suites are done out in bright colours and come with all the welcome touches you need for your stay. There's a satellite TV, Wi-Fi to keep in touch, a fridge to keep your drink cold, and air-conditioning and comfy beds for a restful night's sleep. Sit and watch the world go by from your balcony - some suites also come with ringside views of the evening entertainment. The bars and eateries take care of your food and drink. Dine buffet-style by the pool on round-the-world cuisine or tuck into tasty light bites. With four bars on site, you're never too far from your favourite drink or a tropical cocktail. With so much going on here after dark during the summer months, you definitely won't hear any cries of 'I'm bored' at BH Mallorca! 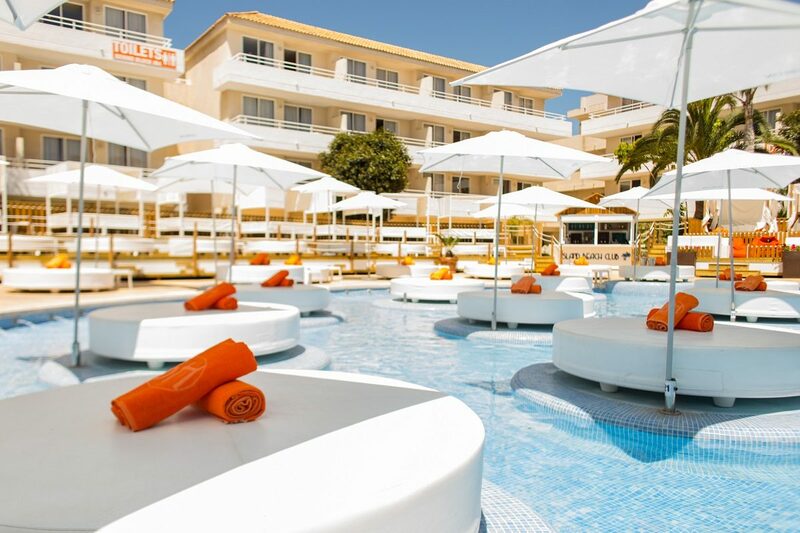 Discover why BH Mallorca is a popular place to stay for Majorca holidays. The 24-hour reception offers luggage storages, ticket service, tour desk, currency exchange, airport transfers, towel hire, and ATM/cash machine. 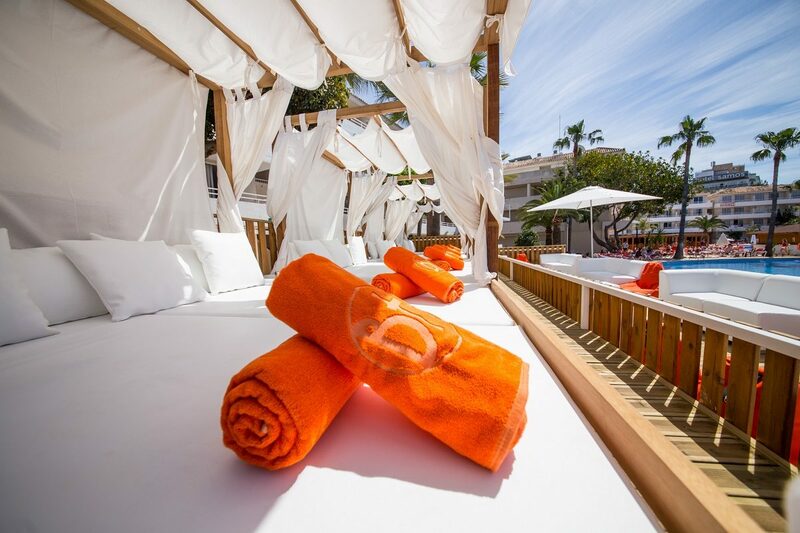 This Magaluf hotel has a total of 656 modern guest suites, comprising Standard Suites, Standard Suites for Sole Use, and Superior Suites plus 2 Standard, 2 Superior Suites, and Stage View Suites. Standard Suites come with flat-screen television, Wi-Fi access, safety deposit box, fridge, balcony or terrace, hairdryer, minibar, bathroom with shower, air-conditioning, and daily room cleaning service. Both the poolside Beach Club Restaurant and Chill Out Restaurant serve buffet breakfast, lunch, and dinner alongside snacks and show cooking. Island Beach Club Pool Bar, STAGE Bar, and the two Waterpark Pool Bars all open in the summer months for a range of hot and cold drinks and signature cocktails. There is also occasional evening entertainment including a live DJ.